NLogic is proud to be the exclusive partner of Radio Connects for planning and buying software. We are Canada’s leading provider of audience analysis applications for radio broadcasters, media agencies, and many other clients large and small. At the heart of what we do is helping clients make sense of audiences. 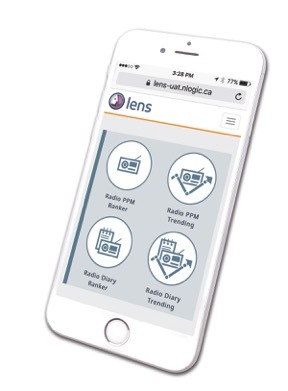 We offer leading-edge planning and buying tools, strategic insights, customizable products, market perspectives and our personal commitment to help you make sense of your Canadian radio audiences. Numeris is proud to be the exclusive partner of Radio Connects for radio data. We are Canada’s leading provider of audience data for radio broadcasters, media agencies, and many other clients large and small.